The coppice woodland near Pentreath is in need of its first cut, being around 12 years old and some of the wood will be used in the upcoming coppice convention in February. 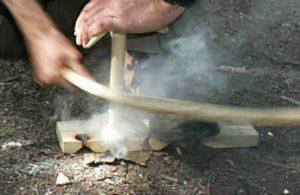 Volunteers are more than welcome to help and learn this ancient skill. 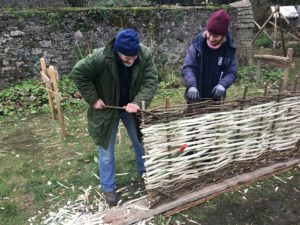 Make a traditional sheep hurdle with Mike Bithell. 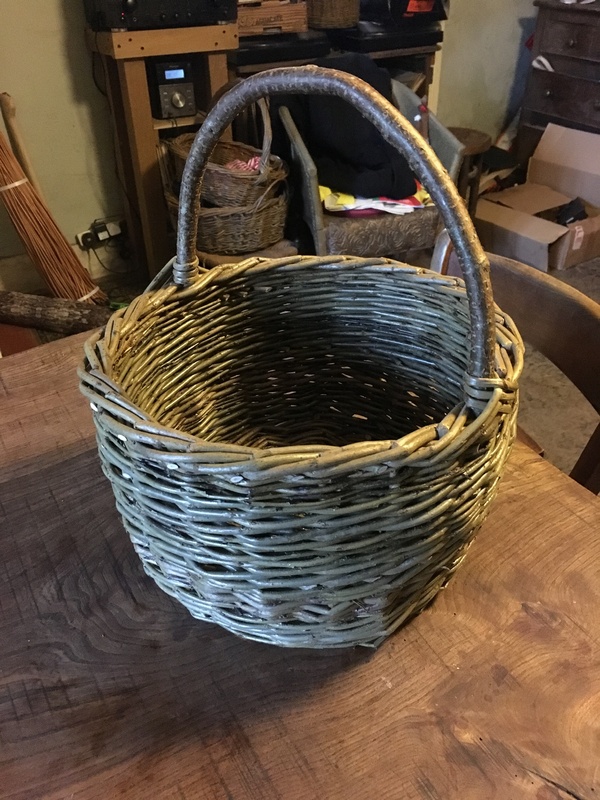 A training project, in all aspects of apples and pears, through a series of practical sessions. 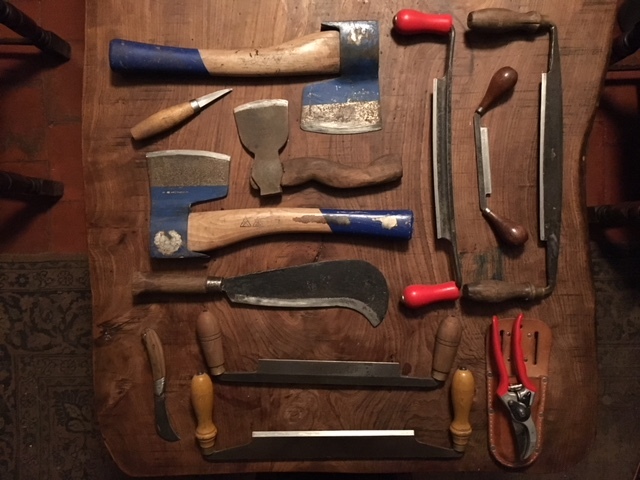 Friday 1st June – Tool Sharpening and Maintenance. 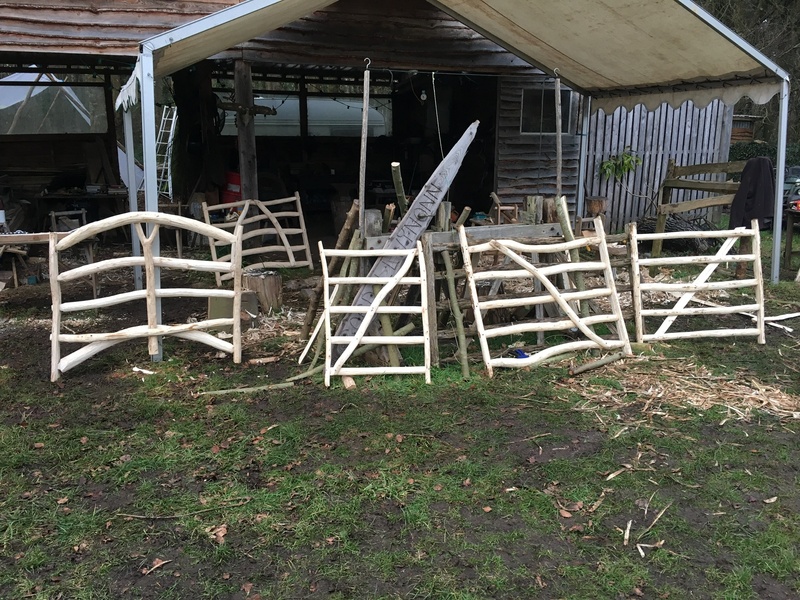 Create a 5 bar gate and forged nails with James Carpenter. A one-day skills workshop, run by Greenwood worker Mike Bithell. 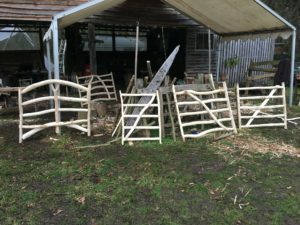 Learn the traditional technique of hazel wattle wall infil and timber frame building, working on the larch timber barn frame, created on last years AONB course. Learn the ancient art of fire starting with friction, and make your own bow drill to take home, with Huw Jones. 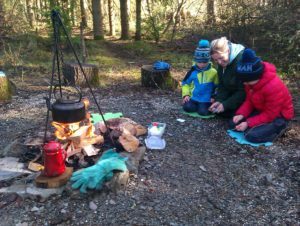 Join Melissa (Wood Mouse Forest School) for a Family Forest Day in the woods – there’ll be a fire, games, foraging, fire cooking and a craft activity. 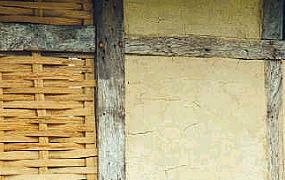 All ages welcome, but children must be accompanied by an adult.